Something no soul winning christian should ever be without. The Roman Road. 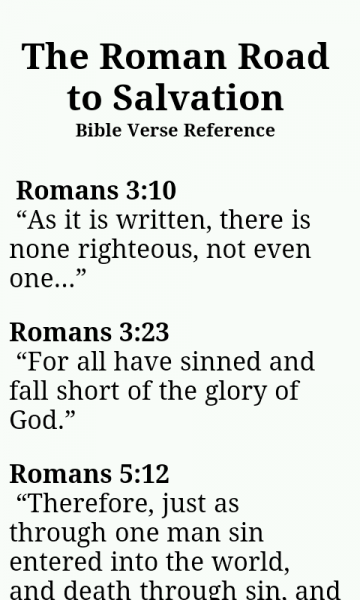 All of the needed bible verses from Romans that you use to lead a person to Christ. We all should know them but if not, we don’t always have our bible handy and you never know when the opportunity may arise to lead someone to Christ. With the Roman Road on Android, you will always have them with you on your Android device. 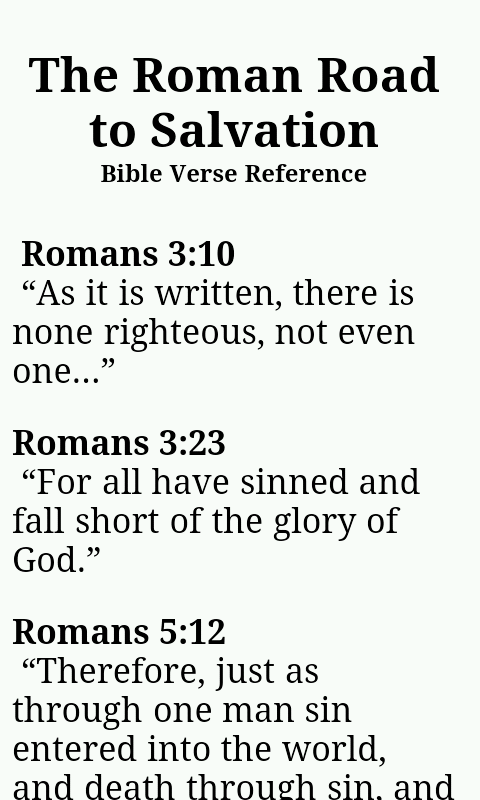 The app features a basic scrollable screen with the bible verses from Romans that are used in leading someone to Christ and also a “Sinners Prayer”. Text is resizable (larger or smaller) by pinching the screen with your two fingers just like photos. * No ADs and totally free. * Uses very little memory.